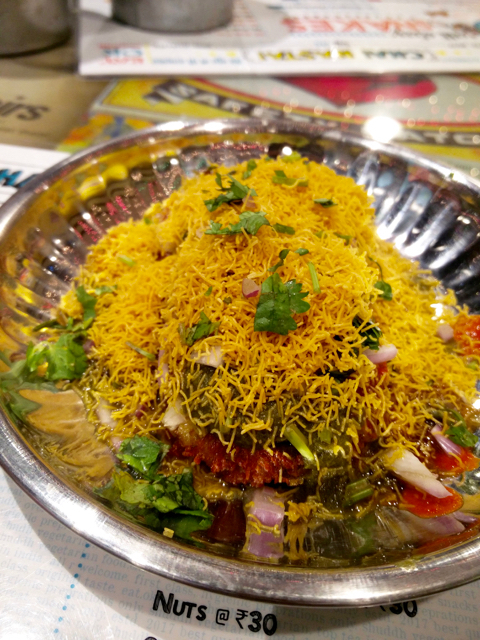 During the epic night in Mumbai where a Mumbaikar took this Chennaivasi on a 6 hour food trip, a number of things stood out. One of them was the bun maska. Dipped lovingly in chai and bit with love and chai, this is one dish that makes you believe that you are the most hard working guy in the world and that the bun maska is your only respite. So when bun maska was advertised, Chai Nasta became a must-visit place. So after a hardworking day three hardworking guys, for whom the world keeps wronging and bun maska was the only respite, landed there well into the evening. Yours truly was obviously one of them. Well, it is a pure vegetarian restaurant, something I found out only when I landed there. Else there is a chance that we might have gone elsewhere. 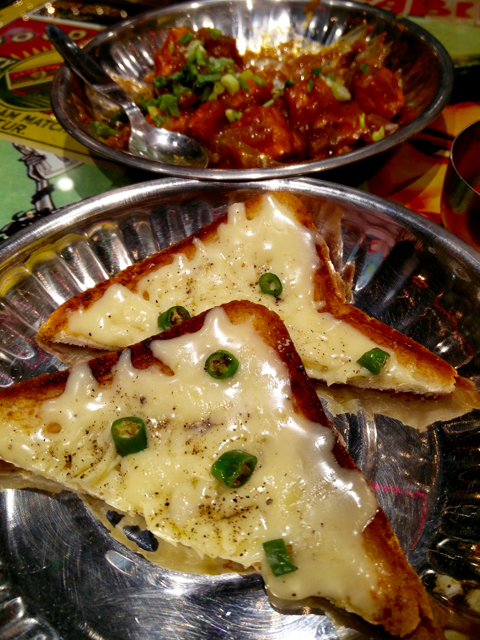 Anyway, now that we were there, the two others ordered elachi tea, chilly cheese toast and chilly paneer. I asked for the bun maska and the aloo tikki chat. 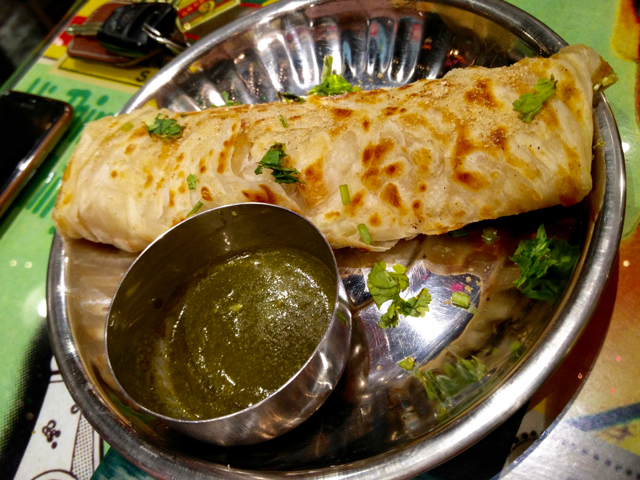 Later on we added one paneer roll to our list. This place is all about the bun maska. Yes, the chilly paneer was pretty good with chunks of paneer in a tangy gravy, the roll was blah, the aloo tikki was a nice as it should be, but only one thing stood out. The bun maska and the chai. OK, that was two things, yes. 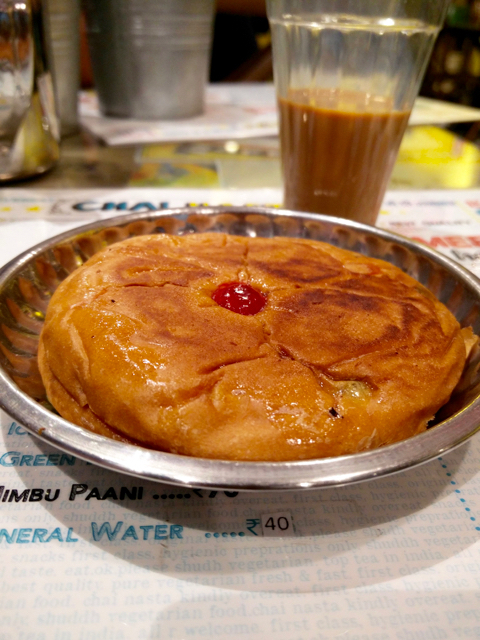 The first bun maska was plain and when we asked for a repeat order, we got the one with jam. Retrospectively, I would ditch the jam and go for the plain. A nice soft, sweet fruity bun, toasted (and tossed in oil or butter, I think), was this beautiful old time comfort food during the era when croissants were unheard of. In most of Chennai, it was always the marie biscuits that got dipped in tea, but there were places where bun was dipped in tea too. Mosques, potti kadais (street tea shops) and the likes. The elachi tea (cardamom tea) was pretty good and as sweet as the erstwhile teas when sugar wasn't a world killer. 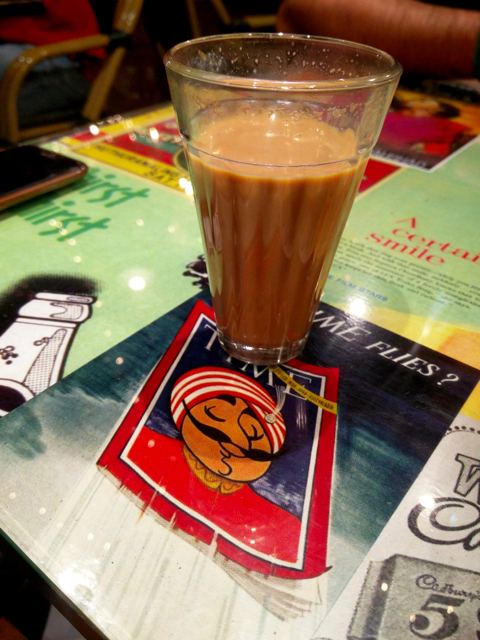 Chai Nasta has recreated that in a slightly more modern tea kadai setting in a posh locality, right next to The Raintree hotel, St. Mary's road, Alwarpet. Our bill was Rs. 1000 for the three of us.